What stands out the most when working with Rachel is how knowledgeable, responsive and completely effective she is. REAL. That’s the word I use to describe Rachel Wilson Thibodeaux. The Real Thing! When you are in a place where you want to develop your business, gain increase, and crush goals, you need someone who not only TELLS you how, but who SHOWS you how. 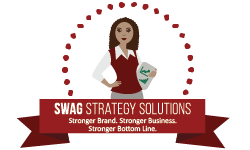 The SWAG Strategist does just that. She strategically guides you through – not just with rah-rah words but with REAL action. And even more importantly, she helps you get to the real truth about your business. Then you can move forward with SWAG! It can be awkward and uncomfortable when one does self-examination of their personal brand. Rachel spoke to us in a relatable and honest way, which prompted me to connect with her after her speaking engagement. She is incredible! She helped me enhance and embrace my brand. I attended Rachel’s “Make Your Side Gig Your Front Gig Master Class and must say my expectations were more than met! After publishing my first book, and prior to this event, I was headed down an ambiguous path towards my next move. I was not very clear on my marketing strategy, nor was I 100% sure if my brand and my branding were one in the same (discovered that they are not). Rachel confidently walked me through my entrepreneurial fog! I am now confident that I can utilize the steps she provided, take my current book, as well as my next project, to the next level, and reach my profit goals.